Heading into the November Midterms, it’s a perfect time to reflect on the myriad ways in which lawmakers and regulators affect our ability to do business in the legal cannabis sector—and how reaching those audiences needs to be an important part of any cannabis company’s overall communications strategy. So for my latest Cannabis Business Executive column—where I regularly unpack the art of public relations in the cannabis industry—let’s examine why advocacy matters and explore some of the most effective channels to reach these key stakeholders. The cannabis industry has come a long way in recent years, no doubt about it. At the start of 2012, marijuana was uniformly illegal for adult use across all 50 states and at the federal level. Flash forward six years, and nine states have now legalized adult-use (recreational) marijuana, Thirty states have legalized medical marijuana, and there appears to be promising momentum building around several federal marijuana reform bills. We should certainly celebrate the industry’s achievements, but we still have a long way to go. This is no time to become complacent. And while we have been living this reality every day in our own legal markets, we can’t forget that nationwide legalization is not a foregone conclusion. The opposition forces who have been fighting this industry all along are still fighting against us. They haven’t gone away. But one of the main reasons they aren’t gaining traction like they used to is because the cannabis industry has been actively engaged in its own political efforts. Make no mistake—there are plenty of opposition forces still trying to block legalization and roll back the progress the cannabis industry has already made. And others are surreptitiously working to stymie legalization measures in efforts to dominate the legal cannabis market through other regulatory channels. There are a number of landmark federal and state reform measures pushing forward in 2018, and that’s why it’s so crucial for industry members to continue communicating their messages to lawmakers and regulators at the local, state and national levels. The cannabis industry would not exist if not for the hard, strategic work of allies and activists lobbying lawmakers for reform throughout the states and on Capitol Hill. 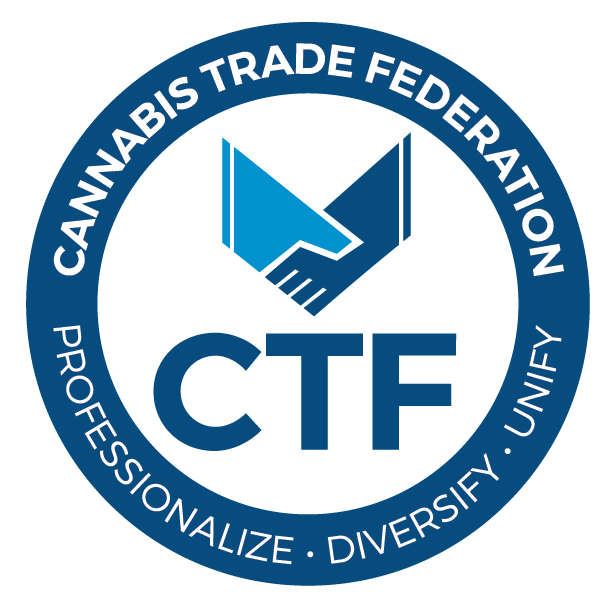 And as our industry strives to reform policies that still prevent cannabis businesses from operating with the same rights and liberties as those in other legal sectors, it’s critical for industry members to have a seat at the table with lawmakers and regulators to counter the opposition forces. Activist organizations like Students for Sensible Drug Policy (SSDP) and the National Organization for the Reform of Marijuana Laws (NORML) paved the way for the legal industry, with advocacy groups such as Cannabis Business Alliance (CBA), Marijuana Industry Group (MIG), Colorado Leads, the National Cannabis Industry Association (NCIA), the New Federalism Fund (NFF) and the Cannabis Trade Federation working to secure the same legislative rights for this fledgling industry that other sectors enjoy. Membership and participation in these organizations and associations gives industry representatives that vital seat at the table. These groups have worked fiercely for years to establish productive communication with lawmakers and regulators, and they have the necessary platform to lobby on our behalf. But they can’t do it on their own. They must have our support. At Grasslands, we are members and regular supporters of these groups because we recognize the important work being done on our industry’s behalf, and we want to bolster those efforts in whatever way we can. We also recognize that this is not simply an ideological issue, it’s a very real operational issue for anyone working in, or doing business in, the legal cannabis sector. And our clients—many of whom are members of these groups—also recognize the importance of such efforts. I encourage all industry members to get involved with cannabis business associations and advocacy organizations, and be active in them. Join a committee. Go to a conference and speak there. Sponsor a meeting. Become a board member. Go to Lobby Days. Now is more important than ever. Because at the end of the day, our ability to do business in this industry rests on our ability to achieve and maintain legislative and regulatory reforms.